Robert Budington Griffiths is Otto Stern University Professor of Physics at Carnegie Mellon University (1964-present). His research interests include consistent quantum theory and statistical mechanics. February 25, 1937Birth, Etah (India : District). 1957Obtained AB, Princeton University, Princeton (N.J.). 1958Obtained MS, Stanford University, Stanford (Calif.). 1962Obtained PhD in Physics, Stanford University, Stanford (Calif.). 1964 – presentAssistant Professor to Associate Professor of Physics (1964-1969); Professor of Physics (1969-1979); and Otto Stern University Professor of Physics (1979-present), Carnegie Mellon University, Pittsburgh (Pa.). 1969Visiting Associate Professor, State University of New York, Stony Brook. 1984Awarded Dannie Heineman Prize for Mathematical Physics, American Physical Society. 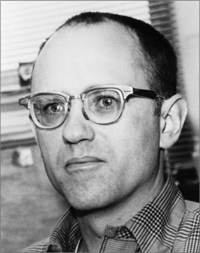 1987 – 1990Member, Advisory Board, Institute for Theoretical Physics, University of California, Santa Barbara. PhD advisor at Stanford University, "Some Properties of Exchange-coupled Magnetic Systems. Both employed at Carnegie-Mellon University. Both employed at Carnegie-Mellon Unviersity. Assistant Professor to Associate Professor of Physics; Professor of Physics; and Otto Stern University Professor of Physics. Received 1984 Dannie Heineman Prize for Mathematical Physics. Obtained MS (1958) and PhD (1962).